If you’re a fan of Stephen King, listen up: there’s going to be a new series that’s set in the King universe! It’s called Castle Rock and the full trailer has been released. Technically, Castle Rock isn’t based on a King story, but it will reportedly take themes, locations, and even characters from his books and short stories, like It, Dolores Claiborne, Needful Things, ‘Salem’s Lot, Rita Hayworth and Shawshank Redemption, Dreamcatcher, Night Shift, The Green Mile, Misery, Hearts in Atlantis, The Shining, The Mangler, Four Past Midnight, Different Seasons, Nightmares & Dreamscapes, and The Night Flier. Castle Rock follows the story of Henry Deaver, a death row attorney tasked to handle “an unusual case at Shawshank Prison.” The title is the name of a fictional town where many of King’s stories are set. The series stars actors who have appeared in films and a TV shows based on King books, like Bill Skarsgard (Pennywise from It), Sissy Spacek (Carrie from Carrie), and Melanie Lynskey (Rachel “Sister” Wheaton from Rose Red). They are joined by Andre Holland, Jane Levy, Scott Glenn, and Terry O’Quinn. Castle Rock will premiere on July 25. 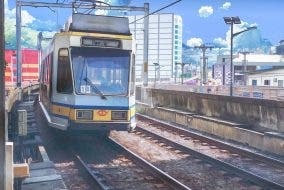 LOOK: These Edited Photos Of Manila Look Like Scenes From An Anime! LOL: This man pranked his GF by surprising her tokneneng instead of munchkins!